There's not one way to get over an ex. Some of us get super-yoked and literally flex on the haters. Others shred pictures of those who scorned them to get free wings at Hooters. Then there's a third category: Those who engage a zoo to name a cockroach after their ex before that cockroach is fed to a meerkat. If you're in that third category, allow us to introduce you to the El Paso Zoo. If you message them with the name of that heartless so-and-so, it'll, well, name a cockroach after him/her/them and feed that cockroach to a meerkat live via Facebook and its website at 2:15pm on February 14, aka Valentine's Day. 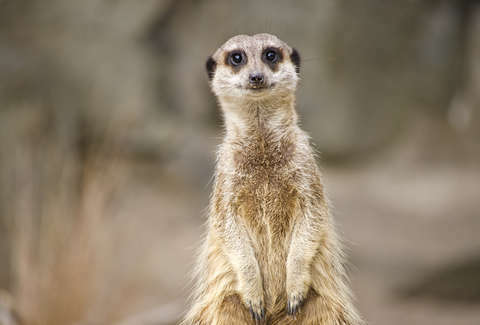 Not only that, but the names will be proudly displayed on the meerkat exhibit and social media. "This is a fun way to get the community involved in our daily enrichment activities," El Paso Zoo event coordinator Sarah Borrego explained to CBS News. "The meerkats love to get cockroaches as a snack and what better way to celebrate Valentine's Day than by feeding them a cockroach named after your ex!" Alternatively, you could make peace with yourself.